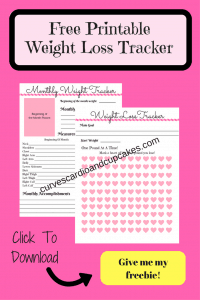 Have you been on the weight loss roller coaster for way too long? Can’t stop sabotaging your diet no matter what you do? I’ve been there and let me tell you it’s frustrating! It’s amazing how easily we can sabotage our weight loss efforts. Our minds are powerful and it’s crazy how they can trick us into giving up on our goals in an instant! I’m going to help you stop sabotaging your diet so you can reach your goals, feel proud of yourself and happy in your life. I’m going to start with a huge way that we sabotage our weight loss goals that I am 100% guilty of…comparing ourselves to others. We grow up comparing ourselves to others and being compared to others. Our society is completely focused on comparing ourselves to celebrities and people who are photo shopped to look a certain unrealistic way. Here’s the thing, every single person’s body and lifestyle is different. You can’t compare yourself or your results to someone else’s. This is your life and your journey. Embrace it and take for what it is. It’s not a race or a competition. I’ll dedicate myself 100% so I can lose as much as possible before vacation. I’ll eat healthy and workout 3 times a week until I lose 20 pounds. Of course once you reach these goals, you need to set new ones to maintain or continue your weight loss. Changing your goals to smaller goals and not such a strict timeline is probably one of the easiest ways to stop sabotaging your diet. How about this one? ” I had a piece of cake today so my diet is out the window. I may as well eat whatever I want today and get back on track tomorrow.” Guilty as charged! I’ve done this more times than I can count! Why in the world to we do this? One piece of cake isn’t going to ruin your weight loss efforts, but scrapping the whole day can. We have to remember that life happens. There are parties, events and holidays happening all the time. We have to make a conscious effort to plan that we are going to eat cake sometimes, but it doesn’t mean your whole diet is screwed up for the day. Take a walk and burn the extra calories if you think it’s going to keep you from losing. An average piece of cake is 250 calories. 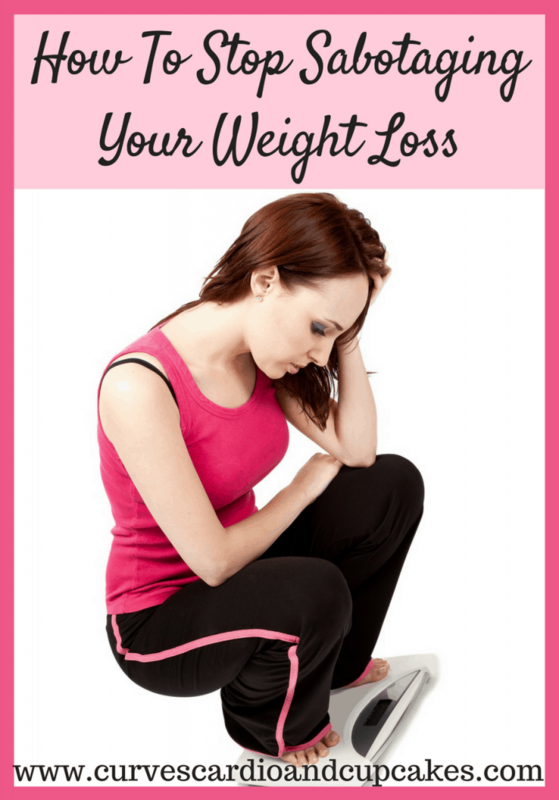 Do you really think that will ruin your weight loss? No way! Stop sabotaging your diet with this. Eat the cake and get on with your healthy eating the rest of the day. Here’s a weird one! I don’t know if this happens to everyone or just me, but when people would start telling me I look good and noticing my weight loss, it would make me try less. It was as if them saying I looked good led me to think that I look good enough to impress them so I don’t have to try so hard. Really?! I’ve always been way too consumed with what other people think of me. It’s not healthy to worry about that in the first place, but to allow it to sabotage my weight loss was just craziness! Now I focus on impressing myself by striving to reach my goals no matter what. Giving 100% and committing to myself makes me feel proud and better about myself than anything anyone can say to me. I know we live in a world of wanting to be accepted by others, but we really need to let that go and focus on what matters to us. It’s your life, girl! Live it your way with no regrets! If you look at every one of these ways we sabotage our weight loss, it comes down to one thing, our minds! Very powerful, but completely controllable. Most of us just go on autopilot and let our minds take the lead. We have to be aware and make the effort to control our thoughts and actions. 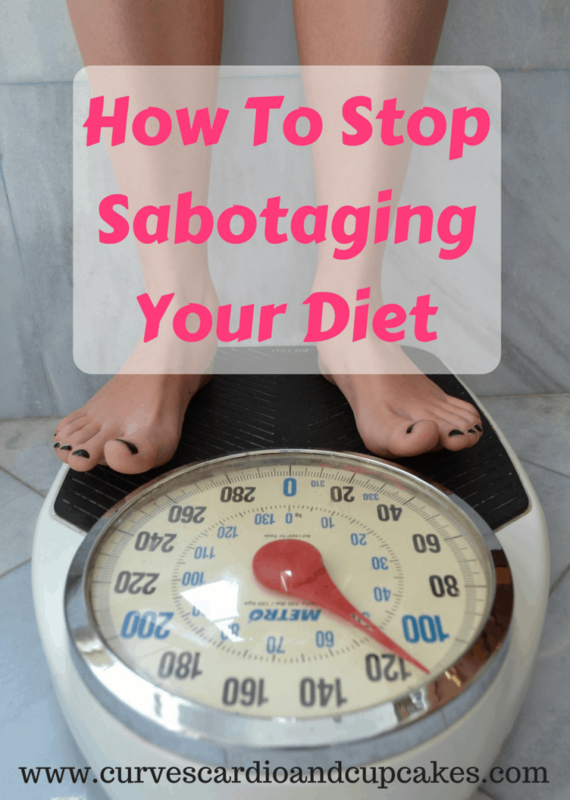 What are some ways you sabotage your weight loss? Let me know in the comments!